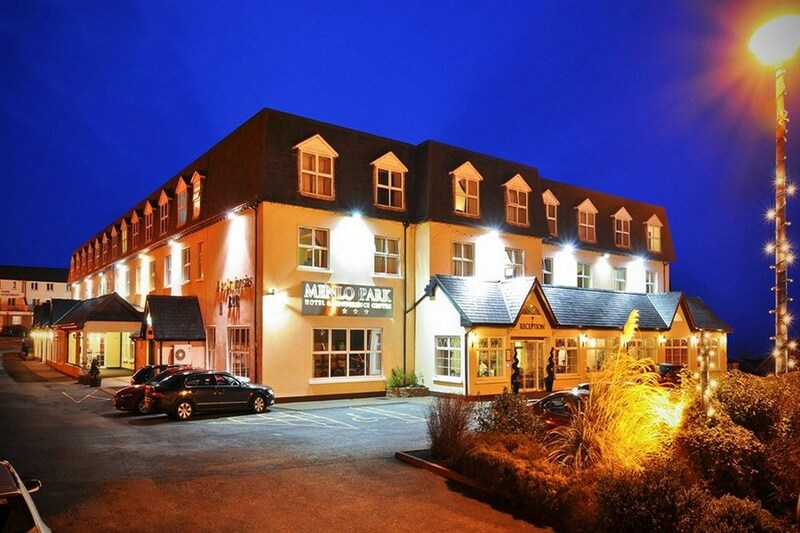 The Menlo Park Hotel & Conference centre, Galway is one of Galways finest hotels. 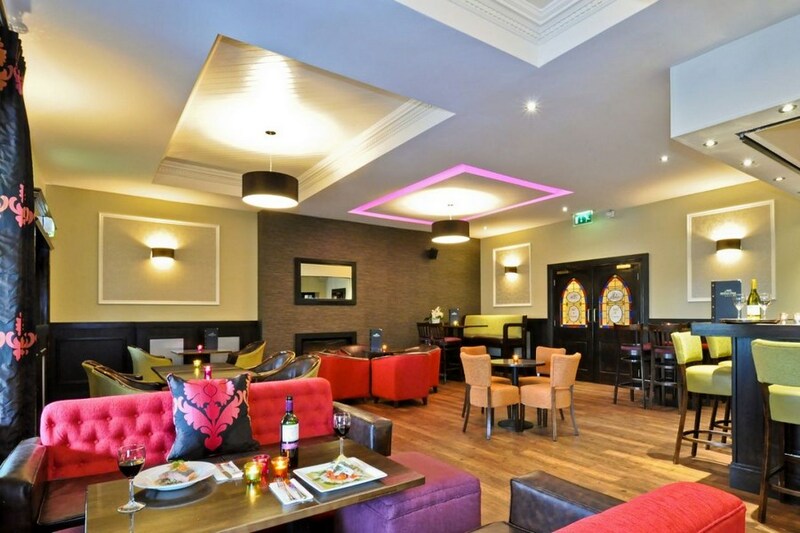 Our hotel is a stylish and elegant property situated near the heart of Galway City making it a great base for all types of leisure activities in Galway. 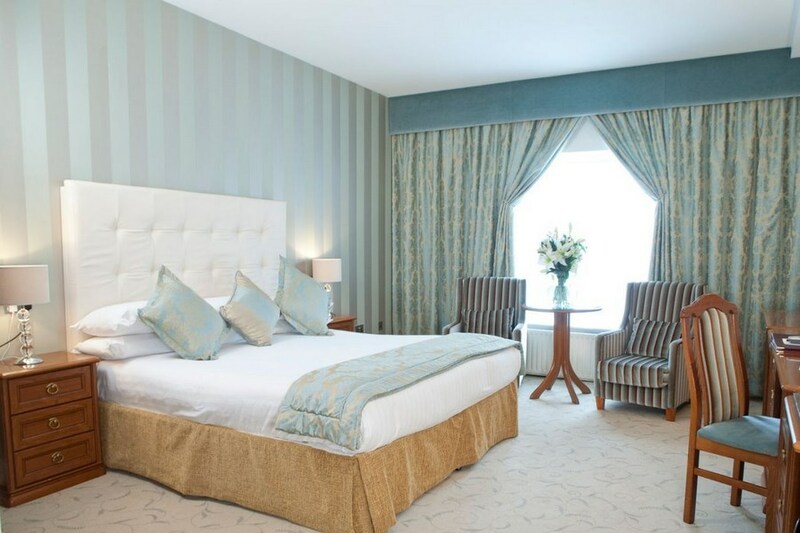 The hotel is also near the main shopping and entertainment areas and is within walking distance of Galway city centre. Coming from Dublin, approaching the Kirwan Roundabout, the hotel is located on the far side of this roundabout. Take 3rd exit, and the hotel entrance is a few hundred yards on the right hand side. Galway city, the cultural capital of the west has endless holiday opportunities with a host of entertainment and leisure facilities. The city extends a warm welcome to visitors and offers a wide variety of restaurants and evening entertainment. Galway County with its varied landscapes is an unforgettable experience. Visit rugged Connemara with its unique mountains, lakes, rivers and bogs, or take a trip to the beautiful Aran Islands on the edge of the Atlantic Ocean. East Galway with its rich pastures, lush wooded areas and busy market towns provide a taste of country life with a Failte for all. Lovely friendly staff. Clean rooms, beautiful shower and bathroom with heated towel rail. Food in the restaurant was lovely and good choice available. Enjoyed our stay and will be back. The hotel was excellent, the staff were very friendly, prices were reasonable and the entertainment was superb. We had an excellent weekend and would most definitely stay here again. Quiet, very near city, good bar food, lovely bedrooms, friendly helpful staff. We had a very pleasant stay, thank you. I recently stayed just for one night it was just a mini break and to go to christmas markets in eyre square. Absolutely lovely hotel, the staff really friendly and helpful everyone of them from reception, waitress, bar staff, cleaning staff all very well trained. One was always greeted with a smile. The room was so lovely very cosy everything was clean and all the facilities you would need. Food first class our deal was b & b and evening meal very good value. I must mention there delicious homemade brown bread. It is in a great location only about 15 minutes leisurely walk to Eyre Square and plenty of shops within 10 mins walk. Looking forward to going back there again. Highly recommended. Fantastic staff at all levels make this hotel memorable! We got an upgrade to an executive suite which was really lovely. The bar food and breakfast comprised excellent quality ingredients, well cooked and nicely presented.The hotel's location is great (Friday's afternoon traffic notwithstanding! ), we are looking forward to another break soon. We availed of a competitive two night midweek break deal there earlier this week, with breakfasts and a dinner included, and have no complaint whatsoever, even to be initially praise-stingy. The rooms were spacious, well furnished, well serviced and spruce. The staff were universally friendly, efficient, professional and accommodating. The food and drink provided for breakfasts and our three course dinner was of a very good standard. The location of the hotel is handy for arrival and exploring outside the city while also usually being convenient for Galway city centre, and we were undisturbed by noise. (Do watch out however for bad Galway City traffic - they were/are doing highly disruptive roadworks on the critical Bodkin roundabout there - and do expect to pay Dublin-level hourly parking prices if thinking of taking a car into town - those things obviously being no reflection on the hotel though). All in all, a big thumbs up for the Menlo Park, based on our experience. Was very pleased with the whole offer room, restaurant food, service in the restaurant and at reception too. Excellent hotel, staff lovely - food excellent and value for money especially for a 4 star. Really enjoyed my stay. Very friendly staff (5*), unfortunately my bathroom needed renovations, cleanlines in bedroom (1*). great hotel very warm and comfortable, great food. Staff were very helpful. simply 2 days of pure bliss the hotel and its staff were top ten. The Hotel is located walking distance from the city, so you can park your car at the hotel and you can just enjoy the city. The food was excellent , or even more , congratulations for the chef. The staff were very friendly and knowledgable and we did enjoy our stay there. The room was spacious and beautiful, the furniture was brilliant, just what we need. The only negative moment is that the walls our paper thin, so we could listen to the TV which was on in the other room when we were about to get some sleep. Thankfully they stopped watching TV at 1am , so everything was all right than. I would highly recommend this hotel during peek season due the walls, but I wouldn't go there at Summertime when every single room is taken. I stayed in Menlo Park Hotel in January 2013 my stay was most enjoyable, staff were very helpful and friendly and the breakfast was superb. The hotel is quite close to the city centre and a short drive to salthill I would stay there again. The hotel is very well situated and very easy to find The Staff were extremely friendly and helpful. The room was very spacious and warm with a lovely view. The dinner was included in the offer and was excellent. I would strongly recommend the hotel. Lovely and welcoming. Food very good, all staff so professional. Music on sat night a lovely bonus. Enjoyed our stay, eveyone and everything was perfect. Hotel staff are a credit to the hotel, breakfast was very good, very comfortable room for the price. Would stay again. I am very pleased with your stay. Good location. Staff very nice and friendly also for the child. The only downside was the failure of hot water. Overall rating of good. Certainly I will return to this hotel. M McGhee booked 2 rooms on a short city break. Stayed at the Menlo Park Galway for three nights 18th-20th Oct 2011 On entering the hotel we found it to be pleasant and relaxing with a nice atmosphere. Greeted at check-in by Gina who was very pleasant and welcoming. Check-in was smooth and quick. We were allocated rooms on the 2nd floor which were clean,comfortable and well appointed. The bar area is very pleasant and a nice place to relax. This is used by many locals which is usually a good sign. We ate in the bar which provides a good menu. The standard of the food and presentation was very good. The service in the bar was extremely good and always with a genuine smile. Nothing seemed to be too much trouble. Breakfast was good. A good choice on offer and different diets catered for. The standard of food was very good and the staff very pleasant which helped start the day off well. The location of the Hotel is close to a busy roundabout but inside the Hotel you would never be aware of this. Galway City is approx. 1 mile. Once you have crossed a couple of busy roads it is an easy 15-20 min. stroll along a straight road or a 10 euro taxi ride. The City itself has plenty to offer and gives a safe comfortable feeling day or night. All in all this was very enjoyable and very good value for money. Nothing about this Hotel could be faulted and the staff are credit. Whenever we come back to Galway,which we will,the Menlo Park will be our preferred Hotel. Staff were excellent!! very friendly and helpful. Breakfast was amazing...Its real value for money!! Great location for seeing Galway city!! Excellent value for money. Hotel very good, friendly staff, food wonderful. Overall highly reccomended. A fantastic value for money break. Really lovely staff. Food was served in the dining room and it was very good. Room was lovely. Breakfast was really good with a great selection of choices. Would reccomend this hotel & would stay here again.